At Progressive Ophthalmology, we offer LASIK laser vision correction surgery for patients with myopia (nearsightedness), hyperopia (farsightedness), and astigmatism. This extremely safe and relatively short procedure can diminish your dependence on corrective lenses and help you achieve clear eyesight. Dr. Michael Ahdoot can perform both traditional and all-laser LASIK for patients at our Queens, NY, practice. During LASIK surgery, Dr. Ahdoot will modify your corneal tissue to correct refractive errors and sharpen your vision. To learn more about LASIK, contact our ophthalmology practice and schedule a personal consultation with Dr. Ahdoot today. When undergoing traditional LASIK surgery, Dr. Ahdoot will first numb your eyes with topical anesthesia. Once you are at ease, he will use a thin microkeratome blade to create a small flap of corneal tissue on the outer layer of your eye. He will lift this corneal flap to access your stroma, the middle section of the cornea. Next, Dr. Ahdoot will use a special laser that emits strong pulses of light to precisely reshape corneal tissue and clarify your eyesight. Finally, he will place the flap back over your cornea, where it will reattach to surrounding tissue as you heal. When compared to an all-laser LASIK procedure, traditional LASIK can typically be completed in a shorter time. All-laser LASIK surgery is commonly referred to as “blade-free” LASIK because it involves all the same steps as traditional LASIK, except Dr. Ahdoot will use a femtosecond laser to first create your corneal flap. Since the laser is pre-programmed to create a perfectly circular flap of tissue that is uniform in thickness, all-laser LASIK reduces the risk of complications, allows patients with overly thin or thick corneas to undergo treatment, and it can result in shorter recovery times. All-laser LASIK also involves less pressure on the eye than traditional LASIK with a microkeratome blade, so it may be a better option for patients who suffer from glaucoma. Dr. Ahdoot can evaluate your unique characteristics and review the benefits of both types of LASIK during your initial consultation. Dr. Ahdoot is committed to using some of the most advanced technologies available in order to provide the highest level of care to his patients. When performing all-laser LASIK, Dr. Ahdoot will use our WaveLight® FS200 Femtosecond Laser to create a perfectly symmetrical corneal flap in about six seconds, the fastest time currently possible. The WaveLight® FS200 also continually calibrates based on position and temperature changes to achieve a high level of consistency and accuracy. During both traditional and all-laser LASIK, we will use our WaveLight® EX500 Excimer Laser to precisely modify your corneal tissue. This sophisticated laser delivers precise, rapid pulses of light that can eliminate incredibly small amounts of tissue without delivering excessive heat to your eyes. Dr. Ahdoot is committed to using some of the most advanced technologies available in order to provide the highest level of care to his patients. 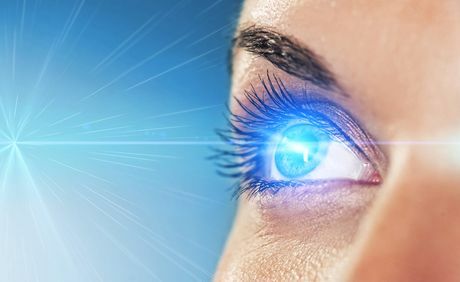 By undergoing LASIK surgery at Progressive Ophthalmology, you can achieve clear vision after a single, brief procedure. Reach out to our practice today to learn more about traditional and all-laser LASIK.